Like the dawn of a fine spring day, this pretty pink gift of gerberas, roses and delicate blue delphinium promises happiness! 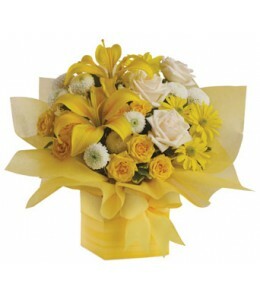 This arrangement comes in a glass cube vase.Flowers are subject to seasona..
As refreshing as lemon sherbet, this sunny array of flowers in a yellow gift box tied with a matching ribbon makes a perfect gift for someone with taste. 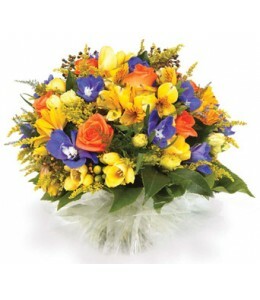 They’ll certainly admire yours.Flowers are sub..
Brighten someone’s day with this colourful posy-style bouquet of freesias, solidaster, alstroemeria and roses.Flowers are subject to seasonal availability. In the event that any of the flowers are una.. Looking to pamper someone special? Think pink! 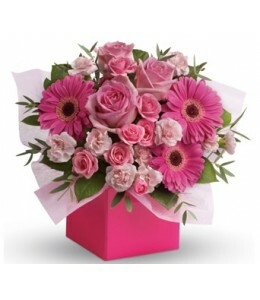 Hot pink gerbera mix with soft pink roses and mini carnations in this fabulously fun arrangement.Flowers are subject to seasonal availability. In the eve.. Capture the magic of twilight with this enchanting array of luxurious lilies, roses and iris.Flowers are subject to seasonal availability. In the event that any of the flowers are unavailable, the flo..
Straight off an impressionist's canvas, this muted masterpiece is a marvel of pale pink roses and snow white lilies. 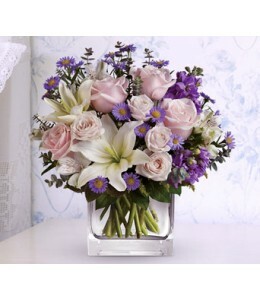 This arrangement comes in a glass cube vase.Flowers are subject to seasonal availab..
An elegant arrangement of white gerberas, lisianthus and spray roses that will lighten up any room.Flowers are subject to seasonal availability. 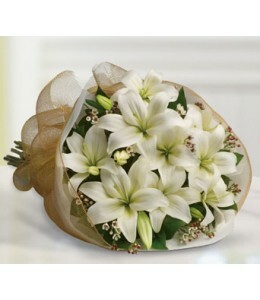 In the event that any of the flowers are unavailable, t..
Let someone know they are special by sending these beautiful blooms of bright white and cream lilies.Flowers are subject to seasonal availability. In the event that any of the flowers are unavailable,.. 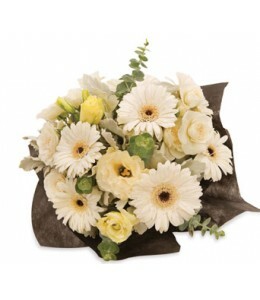 Send this mixed arrangement of sweet white and yellow daisies, red roses, stock and adorable bear. 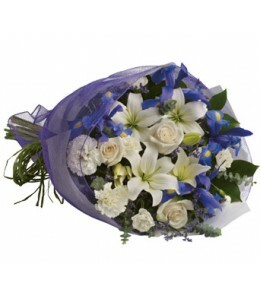 Arriving with it, it’s sure to bring lots of smiles.Flowers are subject to seasonal and regional avai..